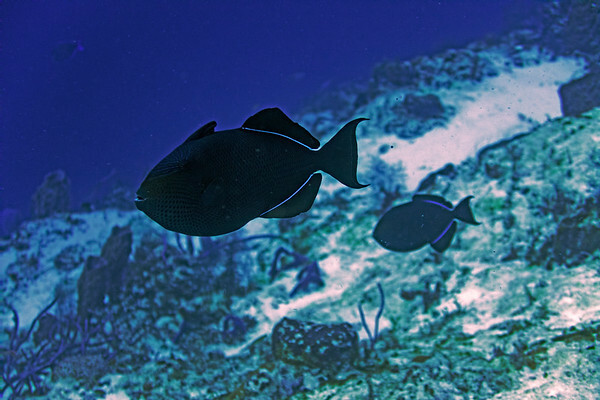 This Black Durgeon was captured off the coast of Cozumel, Mexico at the Paso de Cedral dive site in December 2017. Needless to say we are very happy with our new camera and underwater enclosure. While floating at the surface I had an opportunity to capture this photograph of the rest of the group jumping in the "pool." 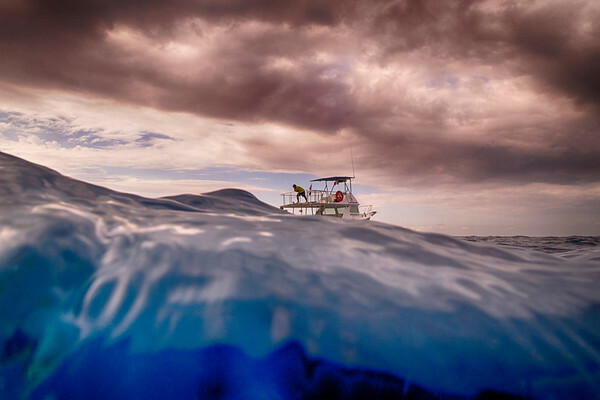 This is a very peaceful part of diving just floating somewhere in the middle of the ocean. With a camera, regulator and snorkel of course. The dive master had just said "LETS DIVE". Going under now! While floating at the surface I had an opportunity to capture this photograph of the rest of the group jumping in the "pool." 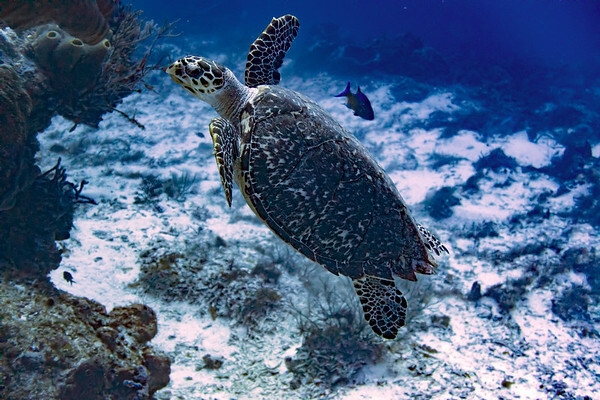 This is a very peaceful part of diving just floating somewhere in the middle of the ocean. With a camera, regulator and snorkel of course. 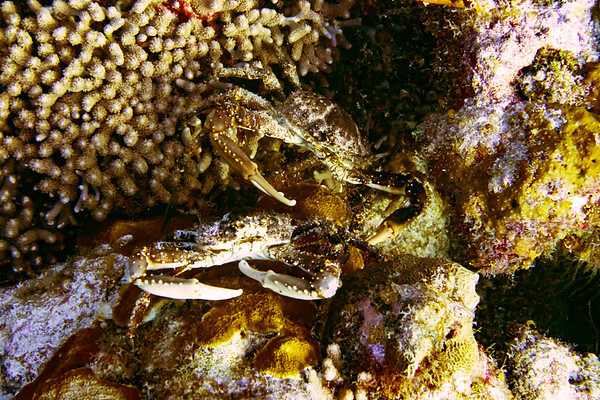 These two fighting crabs were photographed off the coast of Cozumel, Mexico at the Jurassic Park dive site in December 2017. Needless to say we are very happy with our new camera and underwater enclosure. 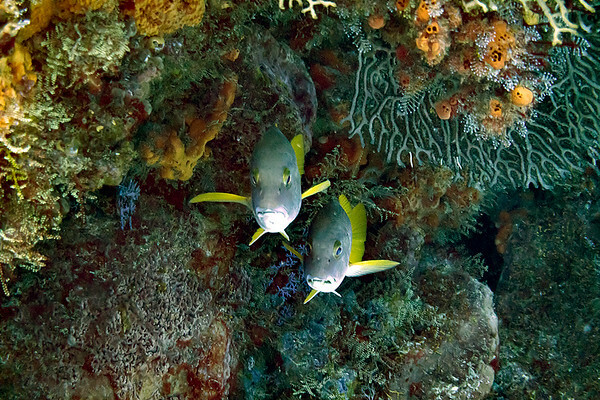 These two Dog Snappers "with teeth" were captured off the coast of Cozumel, Mexico at the Paso de Cedral dive site in December 2017. Needless to say we are very happy with our new high resolution camera and underwater enclosure. 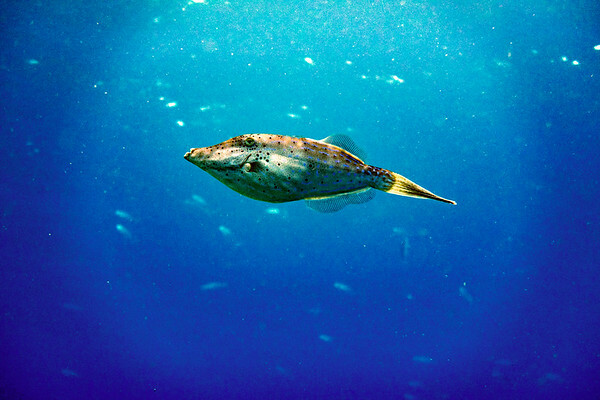 This File Fish was captured off the coast of Cozumel, Mexico at the Paso de Cedral dive site in December 2017. 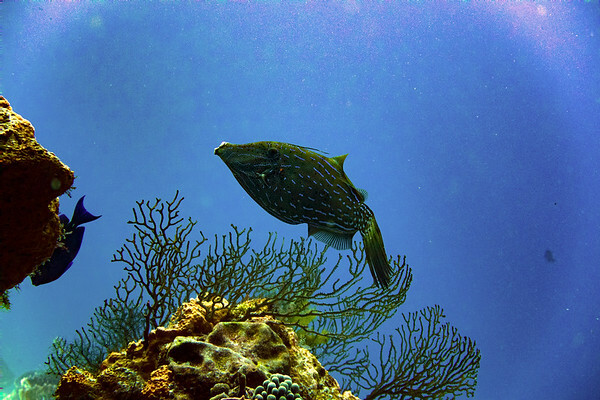 Needless to say we are very happy with our new high resolution camera and underwater enclosure. 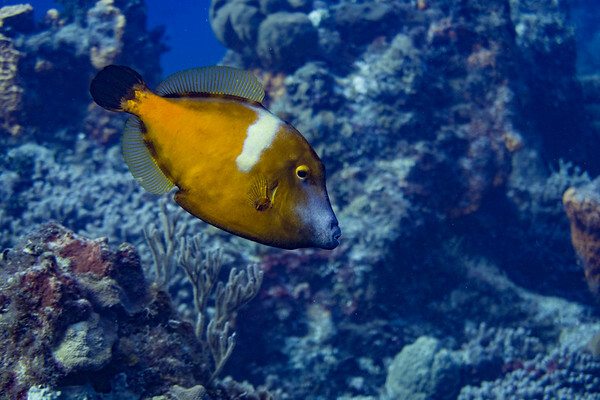 This brilliant French Angel Fish was captured off the coast of Cozumel, Mexico at the Santa Rosa dive site in December 2017. 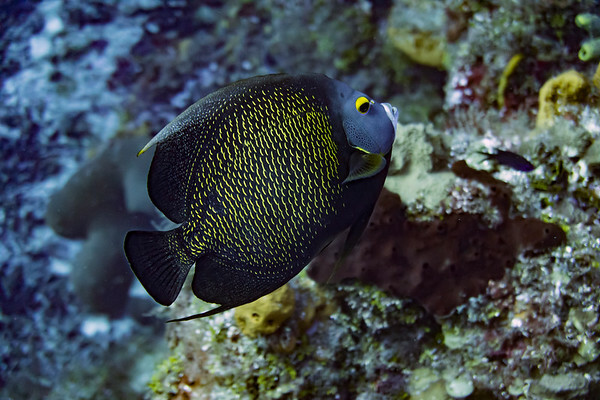 Fresh Angelfish are tough to photograph due to their timid nature. 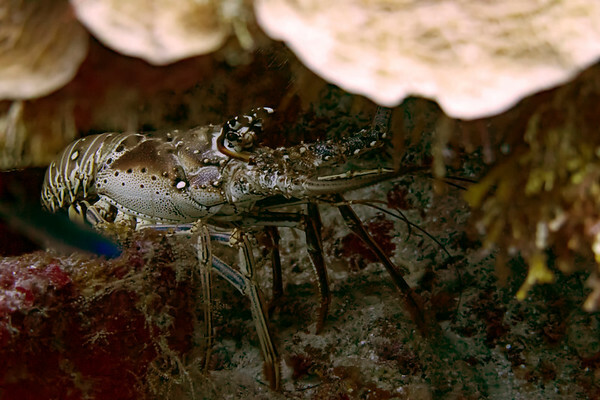 They tend to shy away from divers if you get too close. 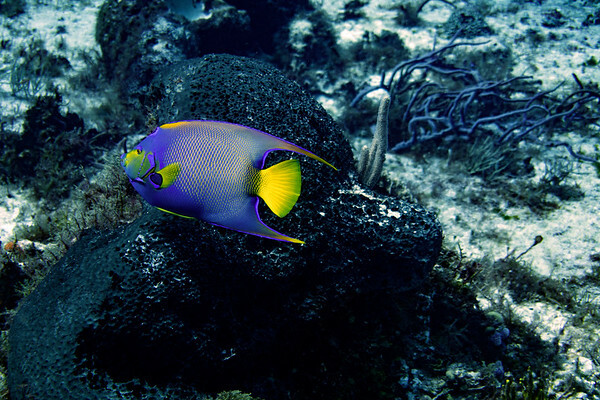 This brilliant French Angel Fish was captured off the coast of Cozumel, Mexico at the Santa Rosa Wall dive site in December 2017. 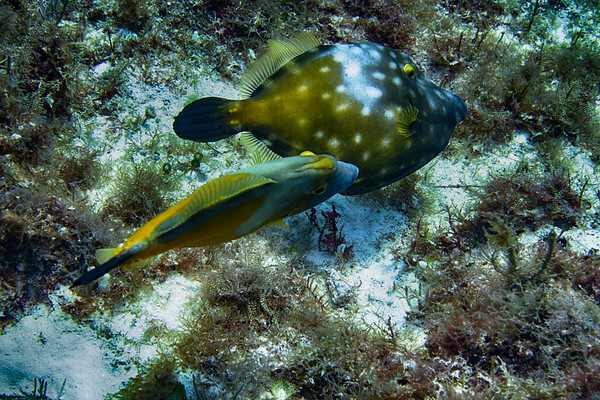 Fresh Angelfish are tough to photograph due to their timid nature. 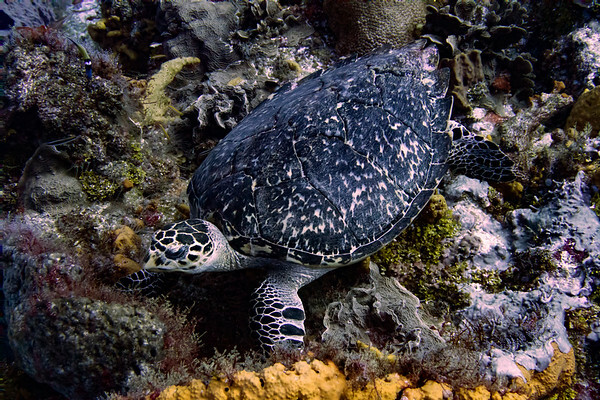 They tend to shy away from divers if you get too close. 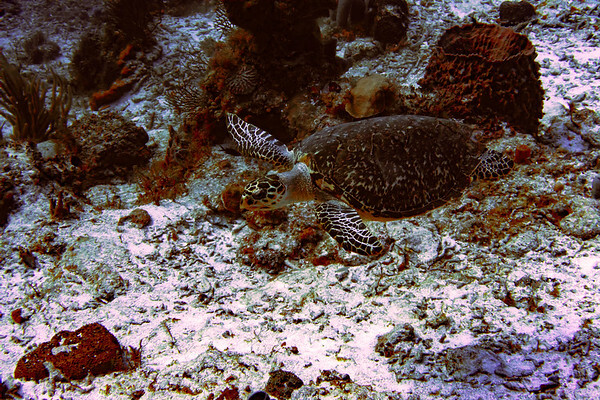 A beautiful "Kodak" moment while this Hawksbill Turtle danced for me for about 10 minutes. He looked me in the eyes on a couple of occasions with total trust and confidence that he was the most beautiful thing in the world. And he was! 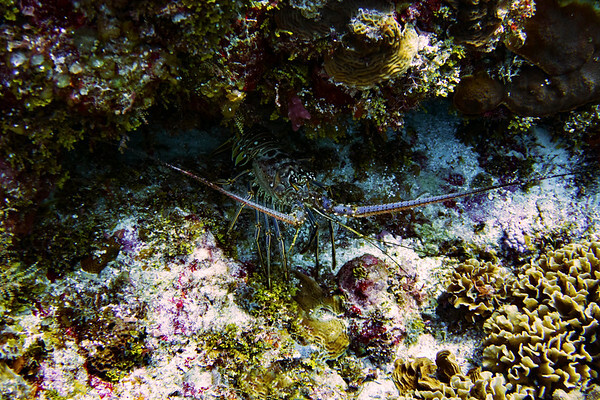 This Lobster or "Sea Spider" was captured off the coast of Cozumel, Mexico at the Paso de Cedral dive site in December 2017. Needless to say we are very happy with our new camera and underwater enclosure. This Nurse Shark was captured off the coast of Cozumel, Mexico at the Jurassic Park dive site in December 2017. A bit too close for comfort as he hovered in my space for a few minutes. 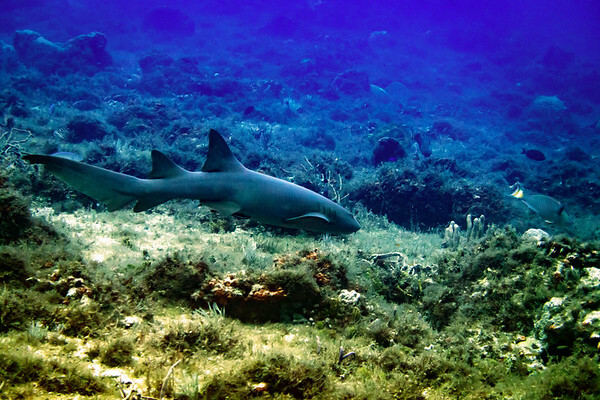 Note - Nurse sharks are very docile and curious animals. This Nurse Shark was captured off the coast of Cozumel, Mexico at the Jurassic Park dive site in December 2017. A bit too close for comfort as he hovered in my space for a few minutes. 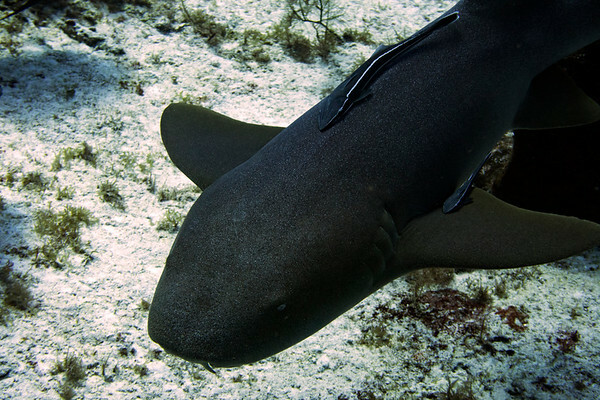 Note - Nurse sharks are very docile and curious animals. 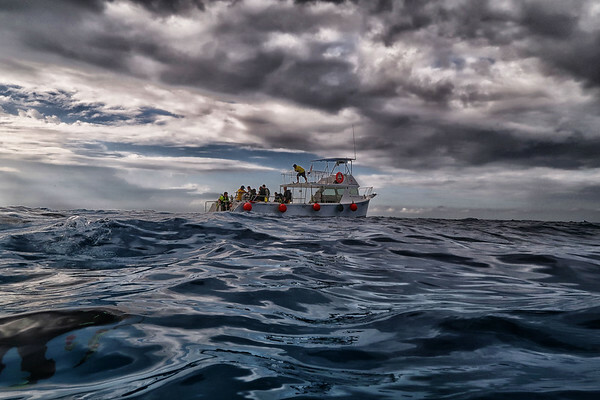 This high resolution photo is available in a variety of beautiful panoramic sizes. 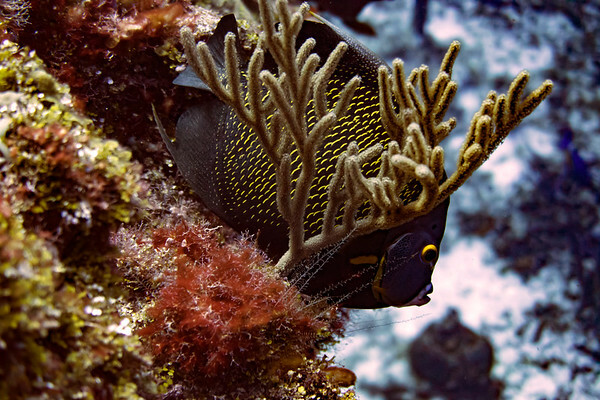 This Queen Angel fish was captured off the coast of Cozumel, Mexico at the Santa Rosa Wall dive site in December 2017. Needless to say we are very happy with our new high resolution camera and underwater enclosure. He literally has a beautiful neon glow as he swims by my camera. 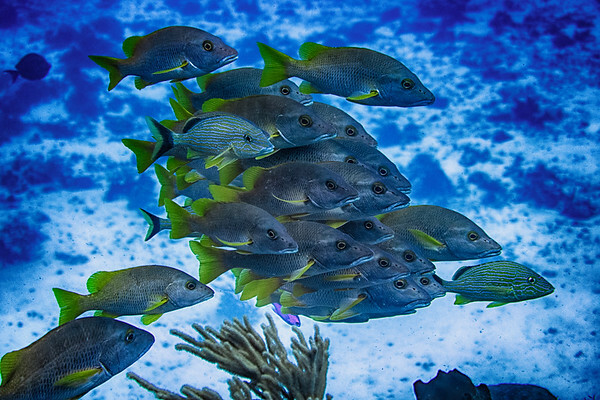 This school of Silver and Yellowtail Grunts was captured off the coast of Cozumel, Mexico at the Santa Rosa Wall dive site in December 2017. Needless to say we are very happy with our new high resolution camera and underwater enclosure. These guys are commonly found traveling in schools.